These documents offer an insight into King Hassan and how he took risks, sometimes contrary to other leaders of Arab countries, and played on a much bigger world stage than would be Morocco’s natural place as a regional leader in North and West Africa. 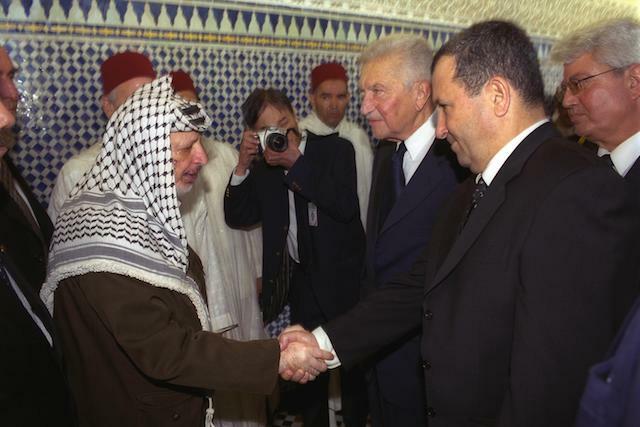 One particular event during my tenure as US Ambassador to Morocco involved an invitation by President Clinton to Palestinian President Yasser Arafat and Israeli PM Benjamin Netanyahu to Washington for talks in May, 1998, hoping to launch final peace negotiations. King Hassan was presented with the US plan and was told that the Palestinians had accepted it, but Israel had not. In a message from Secretary Albright – which I myself delivered – King Hassan was informed that if remaining issues were resolved, President Clinton was prepared to invite the parties to the White House to begin final status negotiations. The message further requested the King’s critically important presence in Washington the following week, if such meetings were to occur, as well as a public statement from him in support of the Palestinian acceptance of the plan. At first the King was hesitant about making such a commitment before he fully understood the Israeli position. Further, he was being asked to fly to Washington on short notice to support a plan he had just been made aware of. It was a risk he didn’t need to take. In spite of this, King Hassan would immediately meet with President Arafat to get his take on the plan. Arafat expressed his support for President Clinton’s plan but signaled that he did not believe Netanyahu was positively disposed to accept it. That didn’t seem to deter the King as he decided within hours of these meetings to take the risk and publically support the US plan. King Hassan was the Arab leader that Presidents Carter, Reagan, H.W. Bush, and Clinton would count on for his behind-the-scenes diplomacy between the Arabs and Israelis at various stages of conflict, as well as other opportunities for peace. In Chad in 1984, he aided negotiations between France and Libya. He presided over the Al Qods Committee for the settlement of the status of Jerusalem, and regularly met with the Vatican on Jerusalem’s status with regard to various peace initiatives. He was called a messenger of peace. And this Moroccan role would continue with his son, King Mohammed VI, who would take the next risk for peace when President Clinton made his last effort at peace with the Clinton Parameters. King Mohammed would become the go between, trying to convince President Arafat to accept the President’s plan, and would go on to invite the Israelis to Rabat where he offered a “warm peace” with Morocco if they were to accept. President Clinton said in 1994, “This is a time of peace as well as trouble in the world. We see progress in the Middle East. We see progress in Ireland. We see democracy taking root in Russia. There is a great deal to hope for and a great deal of work to do.” Without the kind of commitment and risk exemplified by people like President Clinton and King Hassan, the road to peace will be longer and harder.